What is a Power Transmission Line? A high-voltage power transmission line can carry as much as 765 kilovolts, while lines that deliver power to the home carry as much as 24 kilovolts. Power transmission lines distribute power from one place to another. A power transmission line is simply a conductor cable that is used to transport electricity from one place to another. In the industrial vernacular, this usually means from the power generating plant to the substation. Lines that take the power from the substation to the individual customers are known as power distribution lines. Despite this distinction, nearly any power line is known simply as a power transmission line to the layperson. In most cases, a power transmission line consists of multiple conductive wires approximately one inch (25.4 mm) in diameter. There are usually three of these wires. Along with these wires is a protective wire at the top known as a shield wire. The job of the shield wire is to stop lightning as much as possible. This not only helps prevent lines from failing, but also helps to prevent power surges that can accompany electrical storms and damage electronic equipment in a home. The line that runs from the power plant to a substation is often known as a high power transmission line. This line will carry the most voltage. A high-voltage electric power transmission line can carry as much as 765 kilovolts. In contrast, the line that runs into a home carries as much as 24 kilovolts. The advantage of high-power lines is that they offer the opportunity to transmit electricity hundreds of miles without much loss. The voltage is only one feature of these lines. Though some are located underground, most power transmission lines are located above ground, where they are elevated to such a point that interference with most human activities is rare. 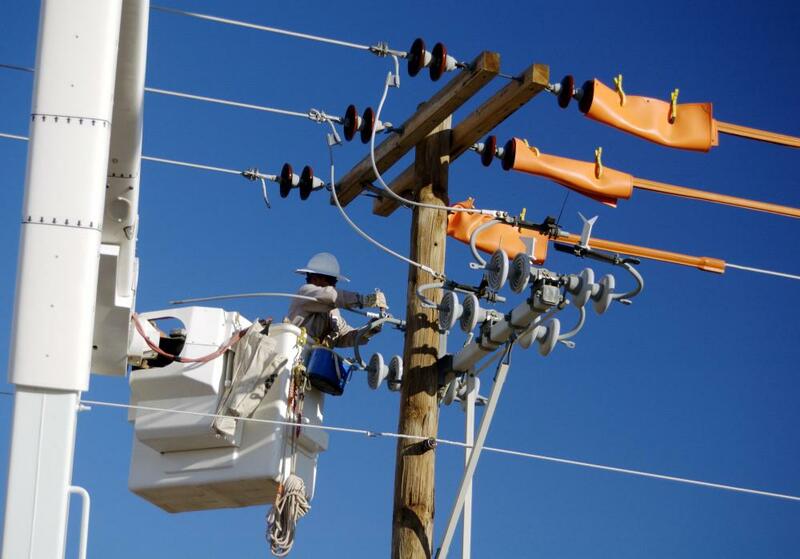 The above-ground power transmission line offers several advantages. They are cheaper to install, easier to maintain, and easier to troubleshoot than underground lines. While these advantages often compel companies to choose an above-ground option, there are disadvantages as well. During ice storms or heavy wind events, power lines may become stressed to the point that poles supporting the lines collapse. Further, many complain about the aesthetics of these lines, arguing they often run through natural areas and create an unsightly view. 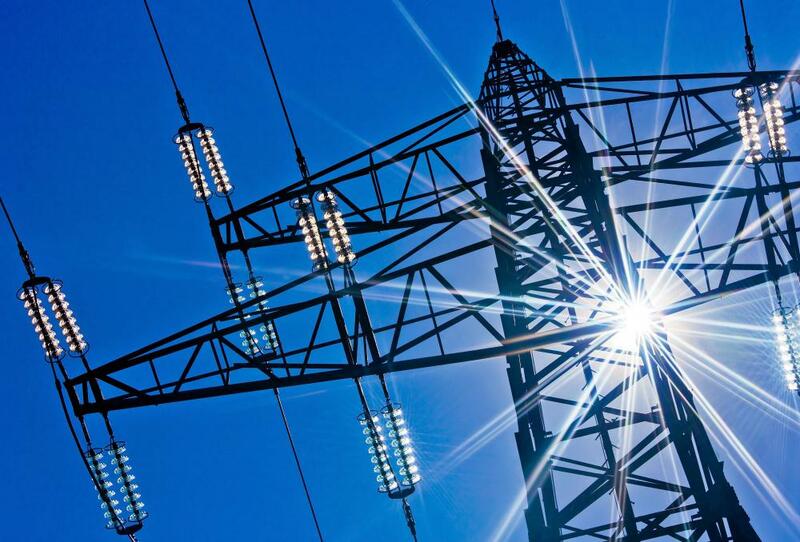 The high voltage power transmission line has long been the focus of study for those concerned about the electromagnetic fields generated around these lines. Many feared they may raise the risk of certain types of cancer, especially childhood leukemia. The U.S. National Institute of Environmental Health Sciences suggested the connection between childhood leukemia and high power transmission lines was weak at best. Still, the concern may be enough for some people to avoid living near such lines, if that is an option. What Is the Tan Delta Test? What Is a Ladder Line? What is a Power Line Communication? There has been a trend to use more underground power lines over the past couple of decades and that is a good thing. Anyone who has been in a house in the dead of winter knows all about how bad it is in when above ground transmission or distribution lines are destroyed due to ice, high winds or other factors (oddly, power seems to regularly get knocked out in neighborhoods around here by squirrels running into above ground transformers). While underground lines are more expensive and can be more difficult to maintain, is the additional cost offset by lower maintenance costs because they aren't as easily destroyed by Mother Nature or suicidal squirrels?